Spring is here, which means we have to get our skin spring ready! And what is a better way to get rid of a tired winter skin than with an au natural exfoliate mask? Today I'm sharing my biggest skin care secret with you. For this scrub mask you’ll only need two ingredients to make your skin rise and shine: coffee and water! Every girl has her beauty secrets and I'm actually willing to share them! Coming from a rich culture that has a big focus on beauty, I have quite a few tricks up my sleeve. Today, my biggest secret to a glowy, healthy skin. Best part? It's simple, cheap and all natural. 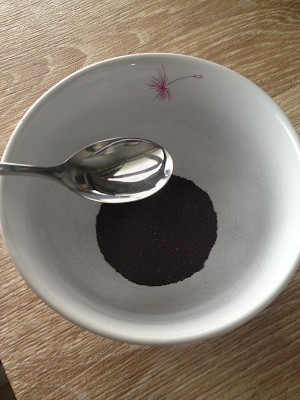 This mini tutorial shows you how to prepare the coffee grounds, so you can use it to exfoliate. 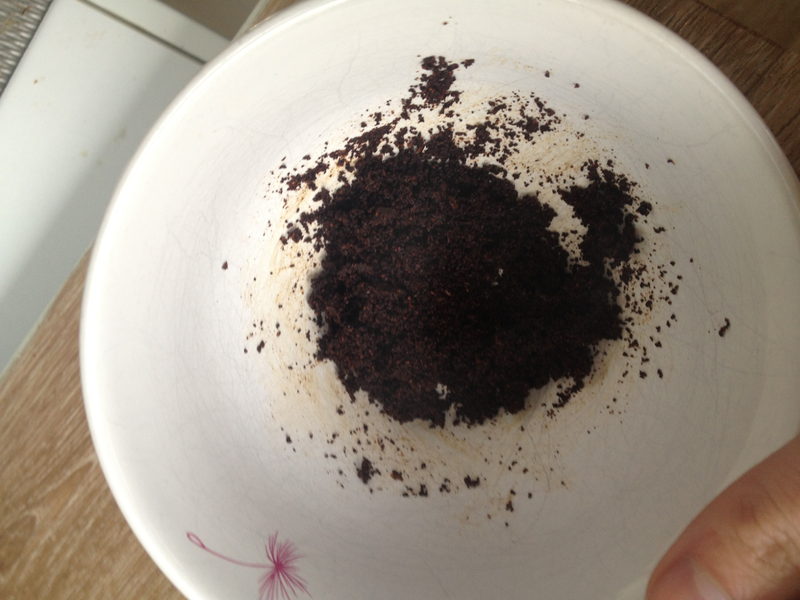 All you need is a bowl, coffee grounds and boiled water. You can use this on both your skin and your face. Be careful when using on your face, though. The coffee grounds can be harsh if you don't rub carefully! Oh and if you have coffee grounds left after making a cup of coffee, you can re-use this! Just skip step 1-4. 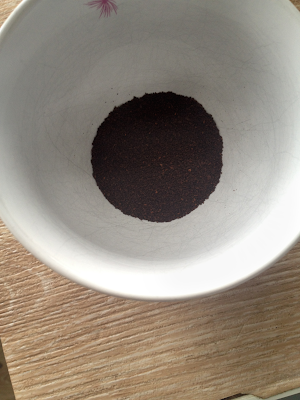 First get some coffee grounds, doesn’t matter which brand or which kind, as long as it’s not caffeine free. Put some in a bowl. About two table spoons is enough. Little goes a long way! Add approximately two teaspoons of boiled water. The less water you use, the coarser the scrub. If you have a sensitive skin, use more water to make the scrub mask finer. 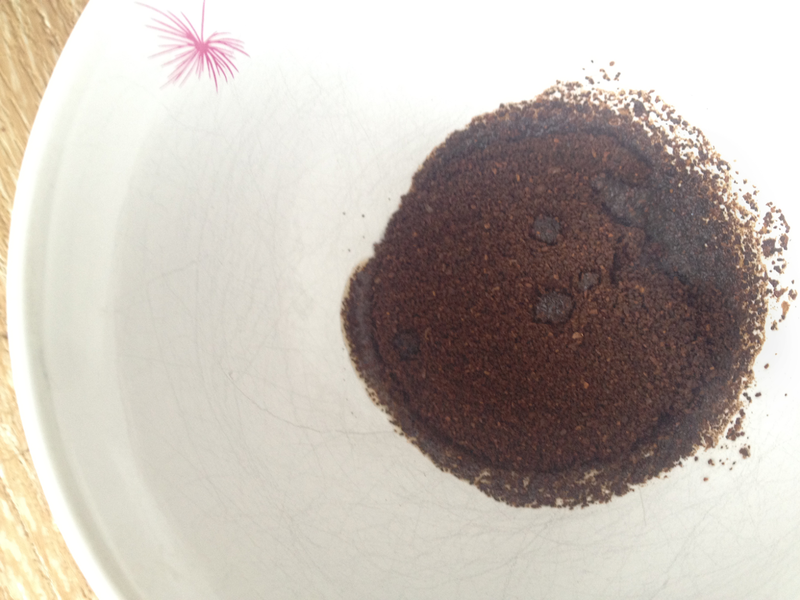 Mix the water and coffee grounds well, until you get a moist paste. If it still looks and feels dry, add more water. Let the coffee absorb the water. Wait about 2 minutes. 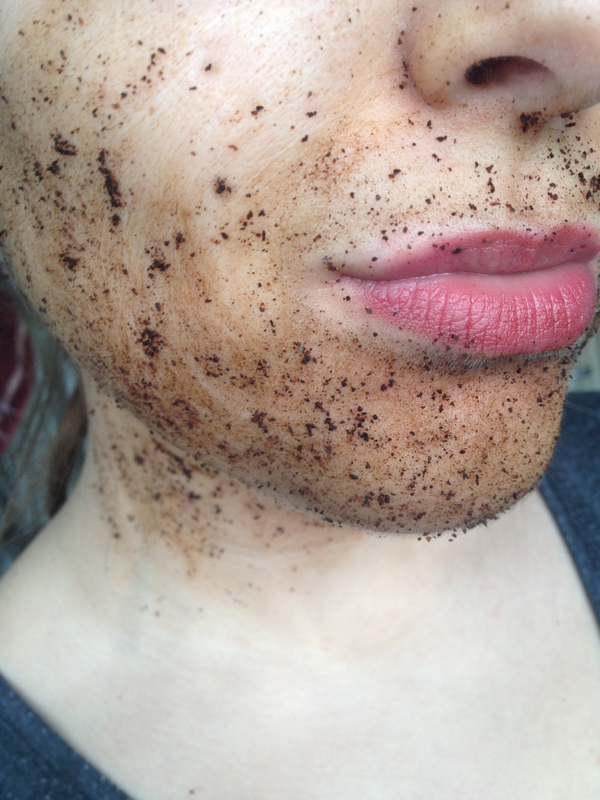 Use the coffee grounds on a clean, wet skin. Carefully start massaging it on your face (or body) in circular motions. When you’re done covering your face, leave it for 10-15 minutes for the caffeine to do its job and then rinse your face. Rinsing can get messy! I recommend you use this in the shower, so you can easily clean everything. Excuse the impurity/rash on my forehead and nose. It's a bad reaction on a beauty product. After rinsing the coffee grounds off, carefully dry your face with a soft towel and use a moisturizer. You’ll see your skin will look more awake and it’ll have a very slight tan. It’s not even a tan; it’s more of a healthy glow the coffee left on your face. The almost unnoticable colour will disappear within a few hours. 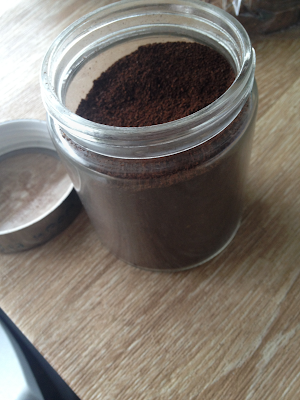 I love using this in the morning, because the caffeine really wakes up your skin. Above you can see the before and after picture. I used flash in both pictures and didn't edit them. You can definitely see a difference. Bye-bye Winter dullness and hello Spring glow! What is your secret for a glowy skin? This is amazing, I will definitely be giving it a go! This seems so easy! I haven't tried this but I want to. I normally use brown sugar and olive oil as a scrub for all over. amazing idea! ive been using baking powder as an exfoliant, which is great but hard to work with. seriously cant wait to try this one out! bet it's lovely for a morning refresh too. your skin is lovely btw, cant see any signs of a bad reaction. 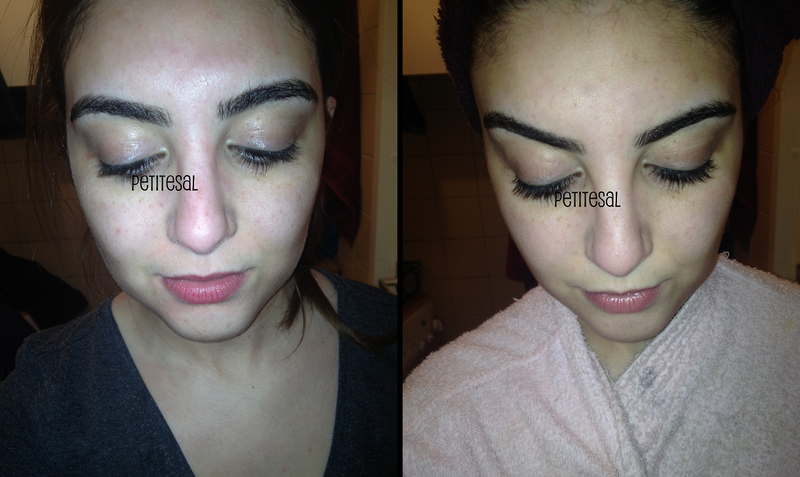 the difference is the second pic is subtle but just makes your skin look healthier. This is such a good idea! I have no heard of anyone using a coffee scrub. This is something I will definitely try! Your skin looks nice afterwards!! I will definitely try this one first things tomorrow morning before going to work! Thanks for the lovely comments, ladies! Let me know what you think if you tried the scrub!! So not only is coffee used to keep us awake, but it can also make our skin glow, eh? This is the first time I've read of using coffee as a facial scrub, though I'm already familiar that coffee has antioxidants that are good for our wellbeing. Not only that, coffee is accessible, cheap, and all-natural.